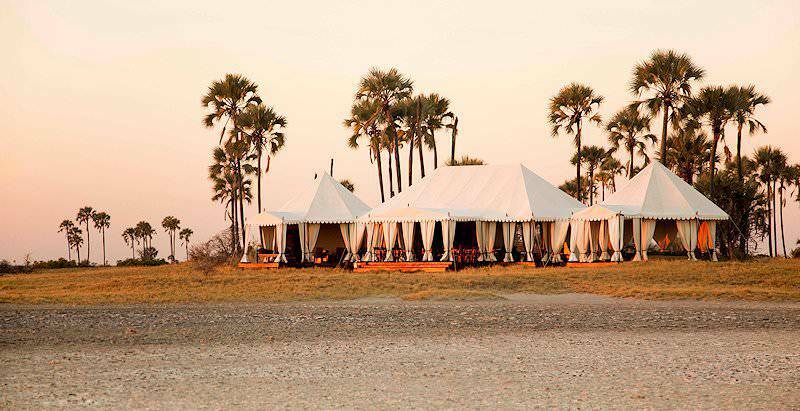 San Camp is a nomadic-style tented camp on the edge of the Makgadikgadi Pan. 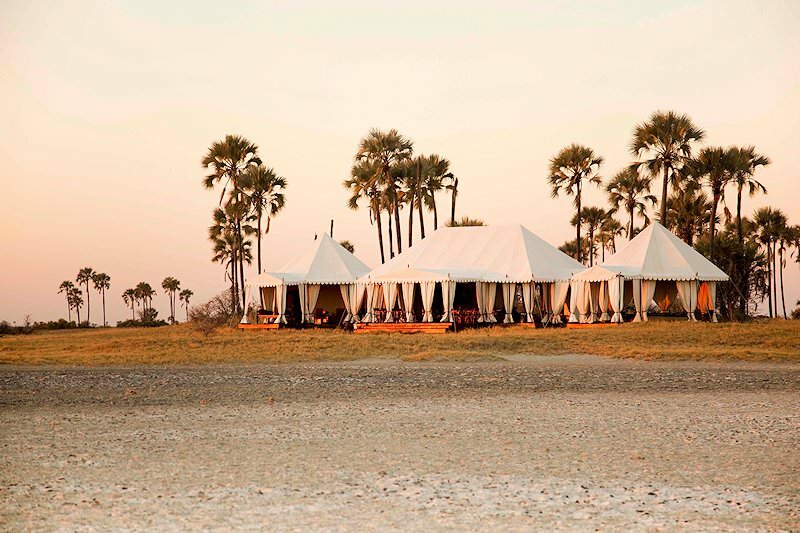 San Camp offers a luxurious safari in Botswana, right on the edge of the awe-inspiring Makgadikgadi salt pans. 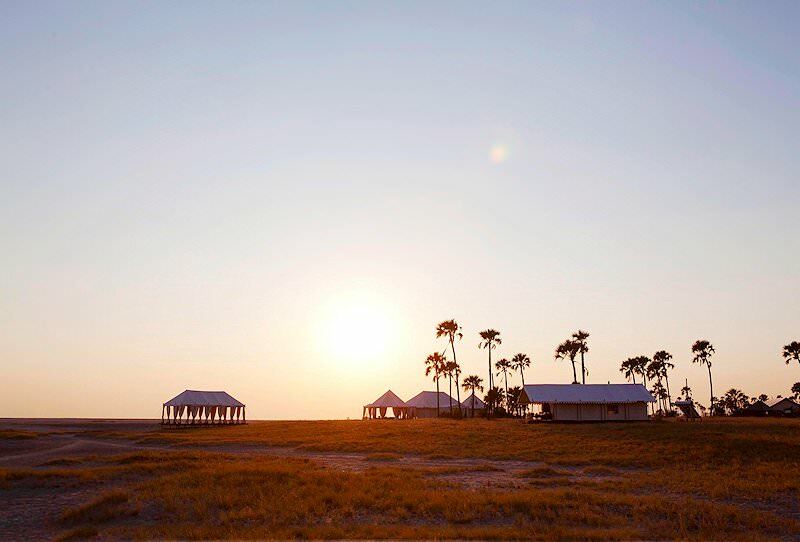 Safari-style tents under the protection of massive desert palms offer luxury accommodation in a minimalist style with a feather-light ecological impact. 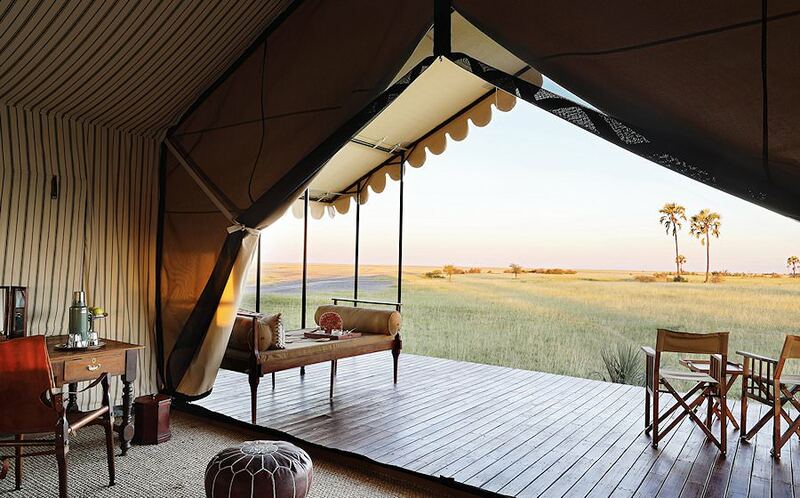 San Camp has six tents, set out far enough from one another to enable privacy and a unique personal experience of the African plains. Each tent has its own private bathroom, with bucket showers and flush toilets, canvas and wood basins - basic, but sufficient. Run with solar power, the impact on the environment is small, while guests are still able retreat into the lap of luxury with excellent service and heavenly cuisine. The view here on the edge of is so vast, the southern African night skies will leave the guest humbled and breathless - perfect for stargazing. 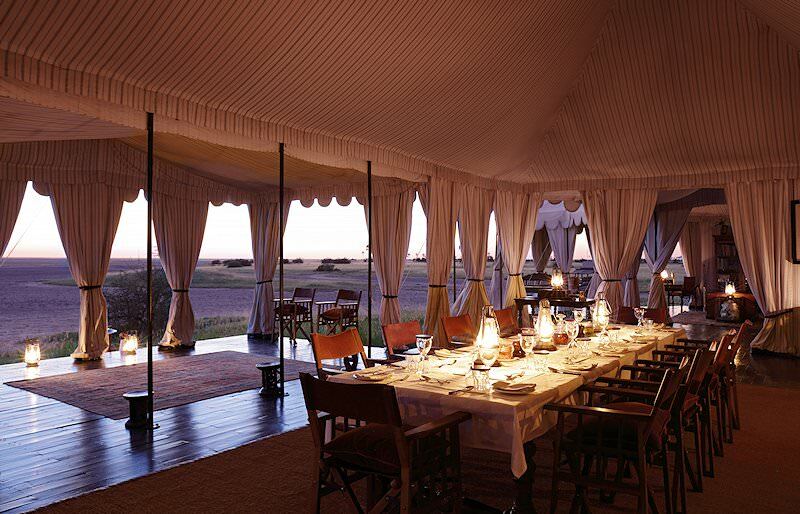 San Camp offers game drives and quad rides into the vast pan. The guides and trackers during these excursions are experts that will make you feel safe and informed. 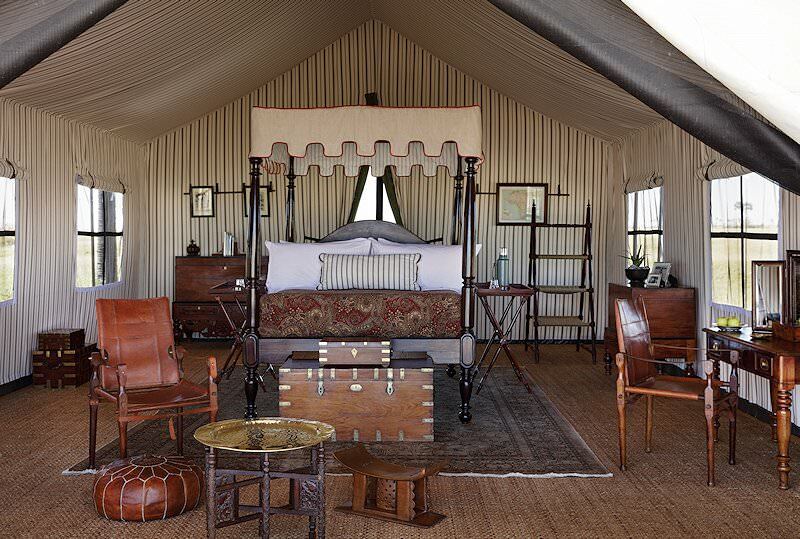 The mess tent has a library, while the tea tent offers a hideaway from the Kalahari sun and a yoga tent for relaxing reflection. 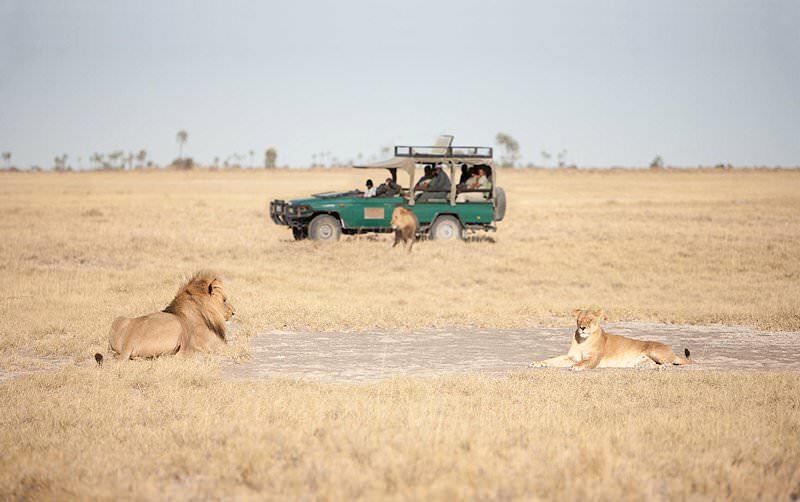 Guests fly to Maun from Johannesburg's O R Tambo International Airport and are then chartered to the Kalahari oasis of San Camp for their safari in Botswana. 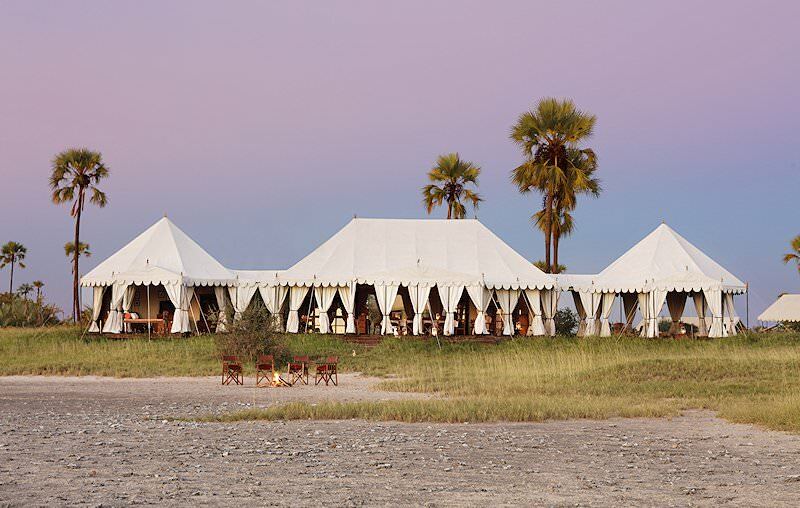 Roosting on the fringe of the Makgadikgadi Pan, this tented desert haven offers unique African safaris, from quad bike excursions on the pan to guided walks to ancient baobabs with Bushmen trackers. 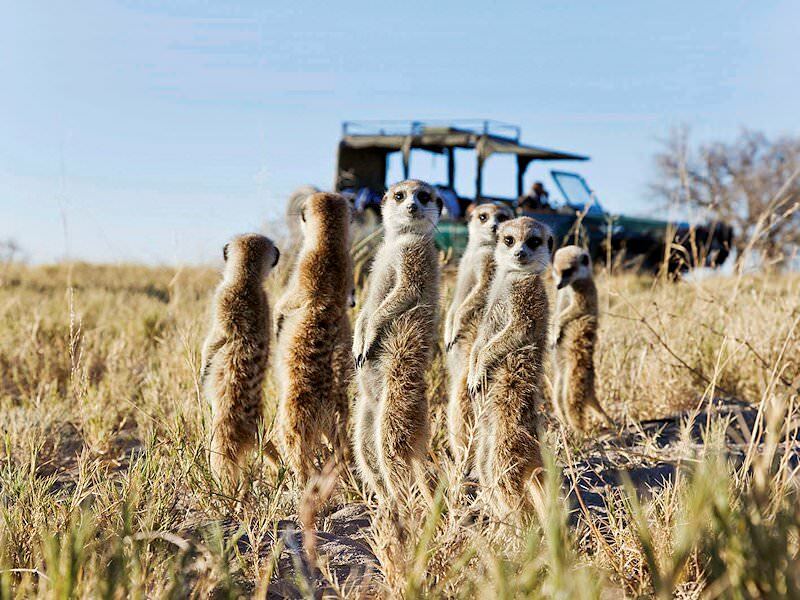 Meerkat and brown hyena frequent the area around the camp, while the rainy seasons attracts flocks of flamingo and large herds of herbivore to the pan. Mealtimes are a sociable affair in the airy tented mess hall. Breakfast, lunch and dinner bid signature dishes to delight your taste buds. 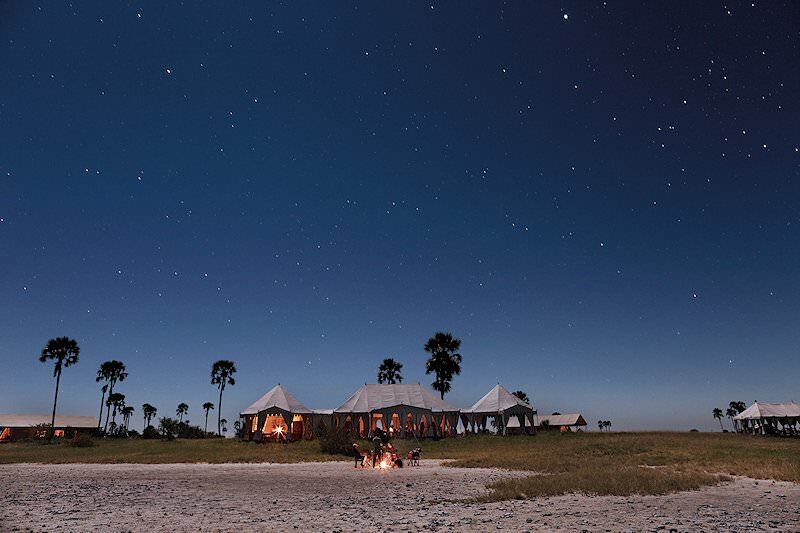 Spend your evenings getting lost in the silver-studded velvet expanse of the African sky, with more stars to admire than any city-dweller would believe possible. This safari package deposits guests in the remoteness of wild Botswana and bids them farewell with unforgettable memories. The camp is definitely not for everyone. If you are, however, a die-hard safari fan that likes to visit places few others would ever venture to, it can be an amazing experience. 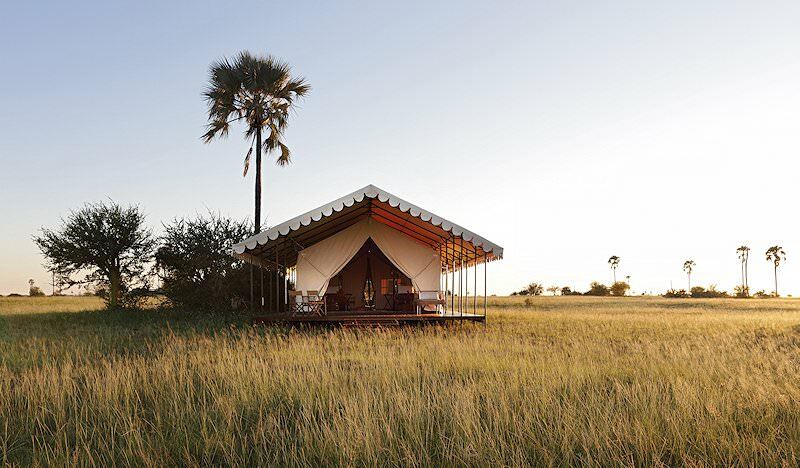 The camp itself is quite luxurious, the setting as remote as can be imagined. South Africa is an exceptionally diverse destination and offers great value for money. 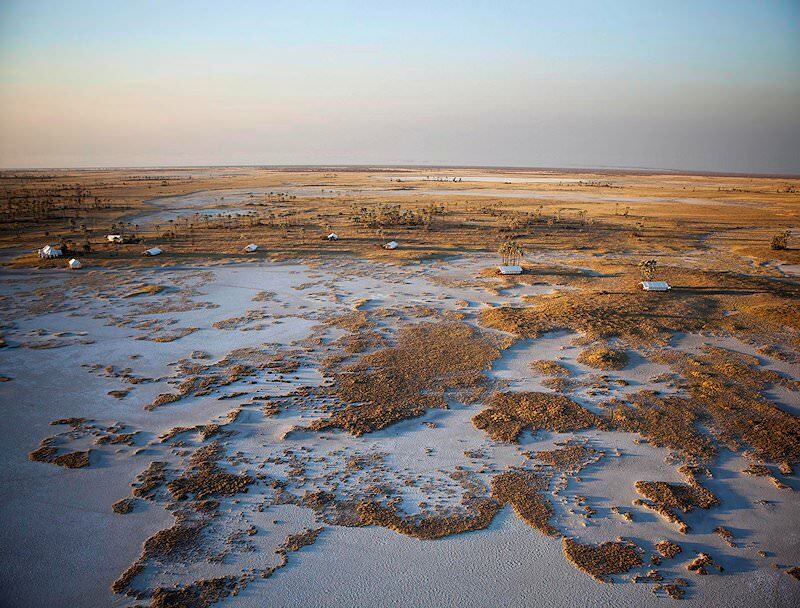 Botswana offers unique water-based game viewing activities, like mokoro expeditions. Experience Namibia's awe-inspiring landscapes on a desert-oriented safari. Zambia's top safari destinations are South Luangwa and Kafue National Park. Travel to Zimbabwe for a truly spectacular view of the Victoria Falls. Mozambique's remote islands and beaches offer unforgettable vacations. The Kruger National Park is the most diverse safari destination in Southern Africa, boasting an extraordinary 147 species of mammal. Our luxury safaris range from comfortable and affordable four star lodges to the absolute cream of the crop of luxury bush camps. The Big Five are Africa's most awe-inspiring mammals, offering spectacular sightings on safari. South Africa hosts the most Big Five safari areas. The most sought-after African lodges in the southern part of the continent are located in areas like the Okavango Delta and Sabi Sand.